Rejected for a Mortgage-What’s Next? Buying a home can be a great investment for many people and a fantastic opportunity to find the perfect place for your family to settle down in. However, financing that home can sometimes be a challenge as the mortgage process has become increasingly stringent, making approvals more challenging than ever. 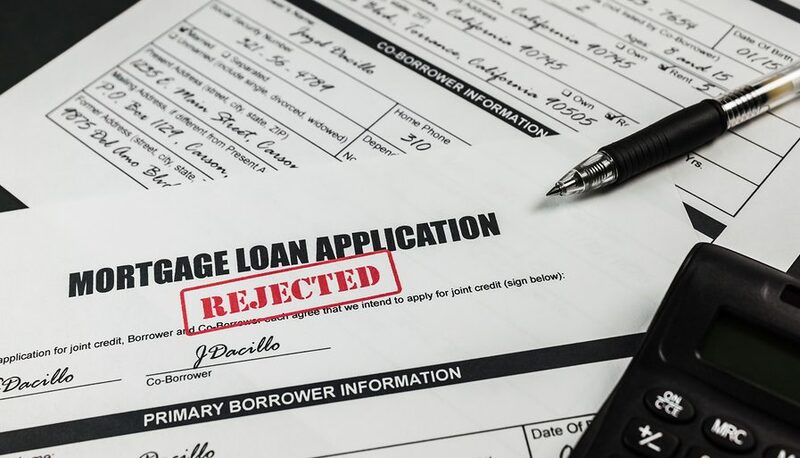 If the bank has rejected your application for a mortgage, it can be extremely frustrating, and it can seem to crush your dream of owning your own home. However, just because your application for a traditional mortgage was denied, it doesn’t mean that all hope is lost. If you have been rejected for a mortgage here’s what you can do next to get back on track and get the loan you need to make your home-buying dreams a reality. This is the most important steps to take whenever you get rejected for any type of loan. You need to know why your application was rejected. The bank is actually required to provide a specific reason why you have been denied. Bad credit and insufficient income are the most common reasons loans are denied. Having this information can help you prevent issues in the future and get a better idea of where your finances really are. This will also help you realize what you need to change your financial situation for the better. When you have been rejected for a conventional mortgage, all hope is not lost. You can likely still get a hard money loan. This is a short-term loan that can are easier to get than a conventional loan and the process is much quicker—which is something everyone can enjoy. When obtaining a hard money loan for a real estate purchase, the loan is actually backed by the value of the property—not your creditworthiness as a borrower. If your original mortgage application was denied due to lack of income or a poor credit score, this is a quick solution that can help. Applying for hard money loans isn’t only easy, with a very simple application behind it, but lenders are often able to approve applications in just a day or two. Also, since hard money loans are available through private lenders, so you can be a little more flexible with how your loan is set up. In short, they are not as strict one repayment schedules and fees as mortgages. With this type of loan, the property you are buying is used as collateral, but you may be able to get your loan using other assets, properties or accounts as well. This type of flexibility is what makes hard money loans such a popular option for so many individuals. It is a great way to get approved for a property quickly and to not have deal with all of the red tape that often comes with bank financing. While every situation is different and every person may benefit from different types of loans, this is a great solution to explore if you have ever been denied on a mortgage and still want the opportunity to secure the property you are interested in.